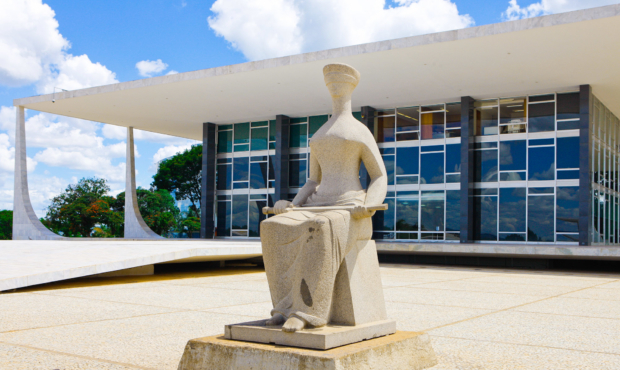 Over on our personal Facebook page we’ve been posting updates on a process to legalize homeschooling here in Brazil that has been making its way through the courts. The final ruling was handed down yesterday, and it was not good. Translation: Supreme Court decides that parents cannot remove their children from schools to teach them at home. Translation: You may not have heard, but the court just affirmed that our children belong more to the state than to the parents, saying the the educational system exists to preserve the children from the influence of their parents, prohibiting them from deciding what is the best way to educate them. Existe coisa mais comunista do que isso???? Em seu voto Fux chegou a dizer que “a Educação visa proteger os filhos dos seus pais”! Translation: Is there anything more communist than this???? In his vote, (Supreme Court Justice) Fux went so far as to say that “Education seeks to protect children from their parents”! This is far from a fringe opinion. In this video the man commenting on this expresses the same sentiment at about the :50 mark. Many Brazilians are seeing this for just what it is…a power grab by the State. O veto do “homeschooling”, a opção pela educação em casa, pelo STF é um desrespeito à liberdade de opção dos pais, passando o poder de decisão sobre a educação dos próprios rebentos ao Estado. Translation: The veto of homeschooling…by the Supreme Court represents disrespect of the freedom of choice of the parents, transferring the power of decision about education to the whims of the State. There are many parents here in Brazil who are already homeschooling, and were in hopes that a positive ruling would legitimize their efforts. In this, they were greatly disappointed. Translation: We will continue to homeschool, even running the risk of being turned in. This is not just a question of whether or not you can teach your children at home. This is a fight over the basic concept of who our children belong to – and has implications for homeschoolers and non-homeschoolers alike. For more on current events here in Brazil, check out our sister site.